Devon Matthews' colleagues from Red 96.7 united on stage at the funeral of their friend. Friends and colleagues of Devon Matthews promised his mother, Gloria, that they will look after her. 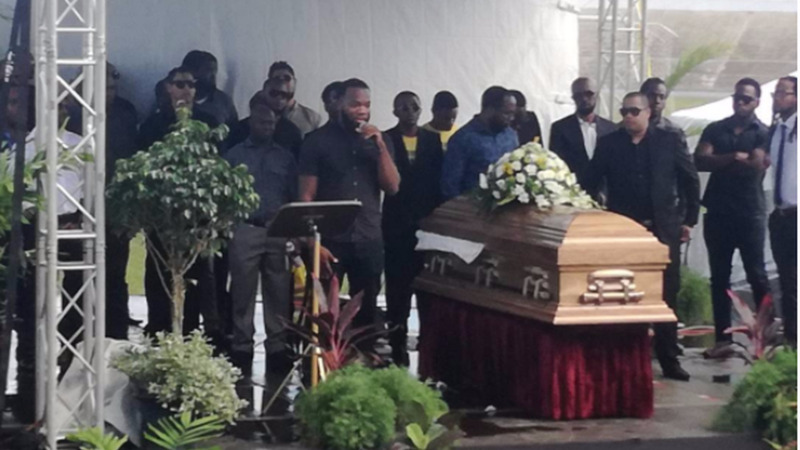 From his best friend Jarvin Monseague to his colleagues, past and present, from Red 96.7 where he worked for 12 years, many of the people who spoke at his funeral on Monday pledged to be there for his mother who has lost her only child. Last year, Matthews’ father, Selwyn, passed away. Among those giving their commitment to support Gloria was Ancil “Blaze” Isaac who injected much laughter into the service as he spoke about the times Matthews pretended to be a police officer. He described the late soca artiste and radio DJ as a giving, charitable person and urged the crowd gathered at the Arima Velodrome to use Matthews passing as a reminder to help themselves holistically. O’Brien Haynes, former Programme Administrator at 98.9 FM where Matthews got his first start, said the 36-year-old was an ambitious, innovative, ideas man. “He didn’t just draw you, he absorbed you,” said Haynes, breaking down in tears. Tony Lee, President of the Radio Network that owns Red 96.7, congratulated Matthews’ mother for producing a son that was respectful and courteous while friend and colleague ShotMaster J, who gave Matthews his break, said the late singer believed in himself and never gave up. Representing Bunji Garlin and Fay Ann Lyons who were in Martinique, Machel Montano said he was very impressed with Matthews. He recounted listening to Matthews’ prank call to KFC where he pretended to be Montano and said it was so good at times he wondered if he was listening to himself. Montano was one of the artistes Matthews’ admired and the soca star in acknowledging that, said in the end, he admired the late singer and that he taught him a valuable lesson to always put God first. In her stirring sermon, Matthews’ Pastor Wilma Kelly said she warned Matthews that God gave him the popularity he wanted and to make this year his last in soca as he needed to turn his life fully to God. She urged the crowd to live a genuine life as God intended so they wouldn’t die a fake. 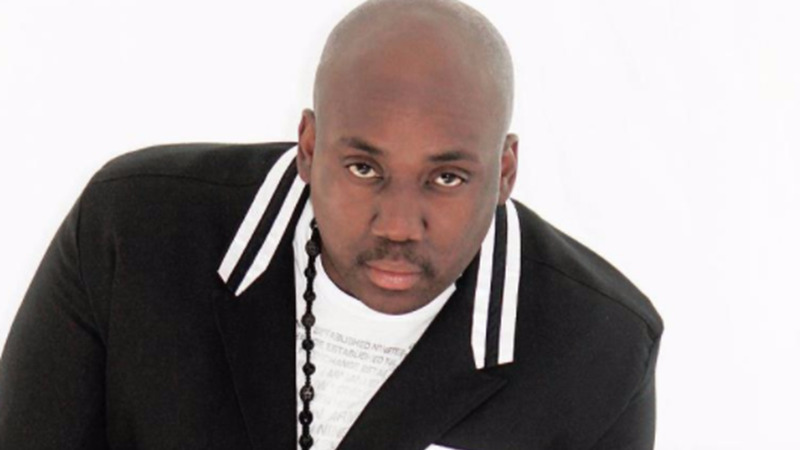 Matthew’s funeral was attended by a large representation of entertainers, DJs, radio personalities, past and present Ministers, other dignitaries, cadets, flag crews and fans. Notably absent was Ella Andall, who collaborated on Matthews’ hit song “D’ Journey”. Matthews’ body was taken to Allen’s Funeral Home where it was cremated.